I don’t usually buy Kix, but it was one of the “buy 5 for free shipping” items on Amazon Pantry, so I threw some into my digital cart thinking I’d find a way to use it. Thanks to Serious Eats, I’m off to a good start with their Kix cereal bark. They call it “Chocolate Kix Cereal Toffee Bark”. 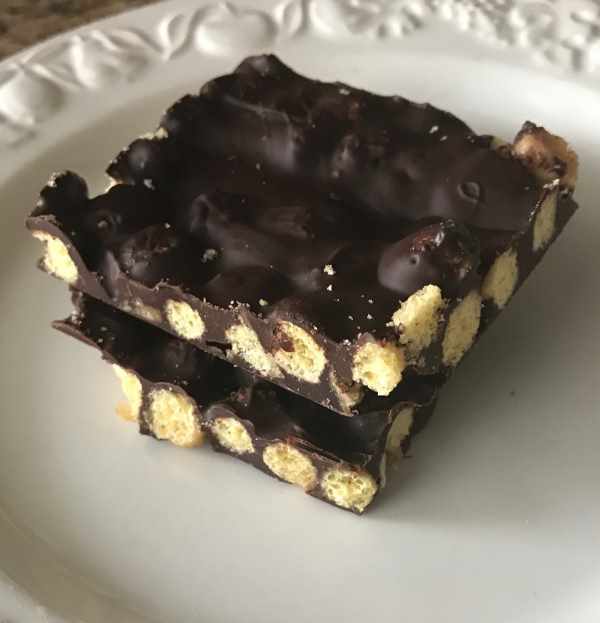 It’s a twist on cracker candy (one of my personal favorites), but uses Kix instead of crackers. As a bonus, it’s gluten free, so yet another gluten-free treat for the file. The changes I made were to put the salt in with the brown sugar mixture (Serious Eats sprinkles it on top) and to add the vanilla right before pouring it over the cereal. Here’s a link to the recipe. One commenter asks why you can’t pour the caramel mixture onto the baking sheet and sprinkle the Kix on after. I tried that. As suspected, the cereal doesn’t get fully coated and the mixture doesn’t bubble up enough, so it’s best to just pour it over the cereal and “corral” the rolling Kix into place. If you would prefer to incorporate some peanut butter into your Kix recipe, here’s another fun one — Weird But Delicious Kix Cookies. 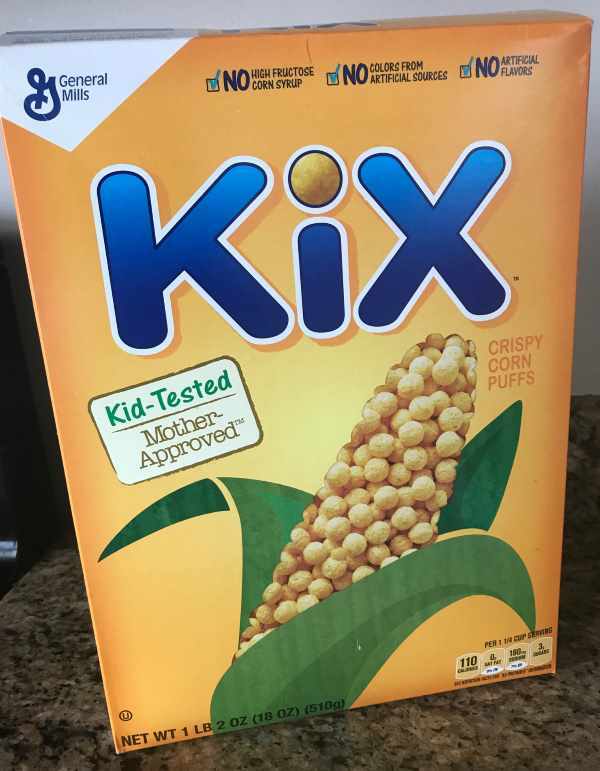 I haven’t thought about Kix in years! This looks like a fun way to use them!